The first issue starts with the fact that Moms Across America has previously falsified information about glyphosate detection. Their “Stunning Corn Comparison” was a table for a soil test that they fudged the numbers on to represent biological material, yet they didn’t know enough to make the numbers remotely biological. They did find a lot of glyphosate and formaldehyde in GE corn. Surprise! This “report” originates from an anonymous person that submitted samples for analysis. If it is a MAM affiliate, don’t doubt that they’s spike samples to get the results they wanted. Keep in mind that these people have falsified results before. They also used the same strategy to “detect” glyphosate in breast milk, a conclusion that was not supported when lactation specialists did the right experiments and did not detect anything (McGuire’s work). As far as a negative control goes, my criticisms are spot on. The test they used is a competitive ELISA designed for water. Any compound that interferes with the binding of the enzyme to the target or the chemistry of the linked reaction will REGISTER AS A POSITIVE. This is not a valid test unless you can demonstrate that the assay itself does not mis-react with a matrix as complicated as wine. So yes, my point is exactly correct. No negative control means that you cannot trust the detection and especially the quantification. That said, organic wines would be a good control. Of course, not perfect, but if they could show that wine produced with no glyphosate failed to register, then we’d have something. Organic farmers do not use glyphosate. Now the easy interpretation of a positive result in the organic wine would be that a complex matrix like wine inhibited the reaction in the ELISA kit that is designed to work with water. That’s what a scientist would first conclude. But not you. There must have been some overspray from some other field that landed on the plant but at levels that didn’t kill it. Moreover, if this hypothetical vineyard was adjacent to the organic vineyard, they would be very careful to direct the spray (if used) to row middles and between plants, strictly avoiding glyphosate injury on resident plants (which would show signs of injury, lower yields and maybe lost plants). But somehow this low-dose spray that can’t kill a plant immediately next to where it is sprayed migrates on the wind and invades the organic field in amounts were high enough to land on the vines and later end up in grapes, and then survive fermentation and storage. This is pure hand waving and speculation, done to justify the results that you want to see. The inappropriate use of an assay for water with a matrix as complex as wine, without a negative control, from an anonymous source working through a group that has falsified results and produced unreliable results means that this report is dead on arrival. Discussions of ADI and what they found are not even relevant, as they did not show anything. They showed that if you misuse a kit and abuse the gullible media and unscrupulous scientists that you can scare people about parts per billion concentrations of a compound that has extremely limited toxicity, contaminating a known carcinogen (ethanol) that is present at a level of 13,000,000 parts per billion. Sorry Thomas. You are wrong here. > get the results they wanted. I would prefer to stay away from unfounded conspiracy theories. You of all people should be aware of how problematic that is. > The test they used is a competitive ELISA designed for water. …which also has been used for surface waters, urine and meat. With good results. Analytical matrices of a complexity that is comparable to wine. > REGISTER AS A POSITIVE. 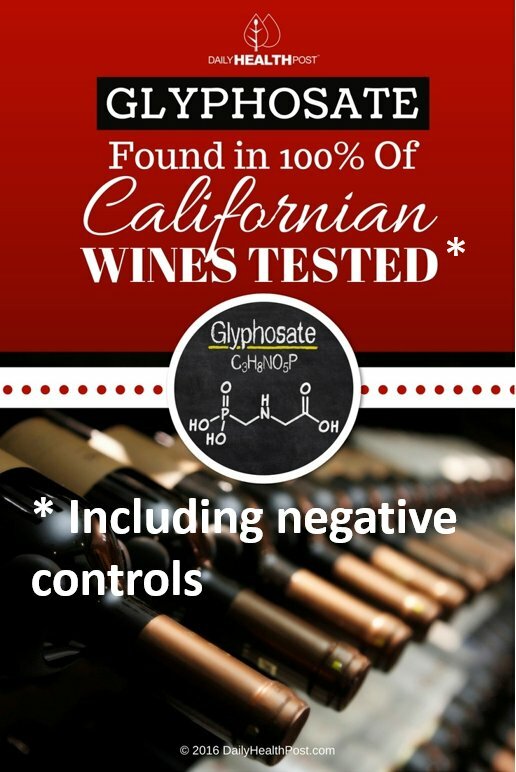 …or a false negative, if it simply blocks the binding of glyphosate to the receptor. It is a priori impossible to say which error type dominates. Agree. But that is completely different from what you wrote and what your meme shows. And you know that. You wrote that the negative controls of the study all turned out positive. Which they didn’t – given that they don’t exist. A half-baked study doesn’t justify half-baked criticism. No negative controls included = weak study design, interpret with caution. Negative controls show positive findings = bad laboratory work, useless data. Nice argument, insinuating that I’m not a real scientist. I think I’ll stop here. Given that you can’t resist the temptation to sling mud, I feel that this is a waste of time. Pity.